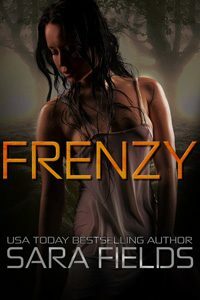 Grace Goodwin‘s latest release, Taken by Her Mates, has reached the Top 20 in Amazon’s Science Fiction Romance category! Congratulations, Grace! Oh Miss Grace you have out done yourself. This book was truly a great read, bad part is I read it to fast and now have to wait yet again. Think I’m going to buy you lots of coffee to keep you writing. Loved the strength of the H/h and all of the unexpected twist in the story, Loved the fact that you gave Vets a true meaning and the honor they deserve. The plots are as always wonderful, and gripping. Only wish that some areas could have been expanded some, like what happened to the evidence turned over and what happened to the other Vets/ Warriors? Other then that awesome book. This Is book 4 in the series, and I can truly say that they all have been great!!!! I loved the story in this book, how nail felt less a warrior because of the lingering effects from b either a hostage of the hive. Ander his second also felt less than adequate because of f scares from previous battles. However with the help of their mate they are able to experience a love that makes them whole. Yay, Prince Nial’s story! This book is actually a continuation of Nial’s story whom we met in Mated to the Warriors (book 2) but can be read as a standalone. 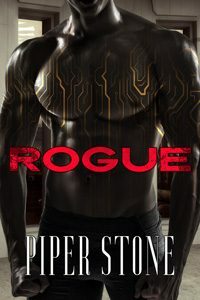 It was even better than I had hoped and I actually enjoyed it more than his cousin’s story (Mated to the Warriors – which needs to be read if you want to really know all about their bioprocessing implants). 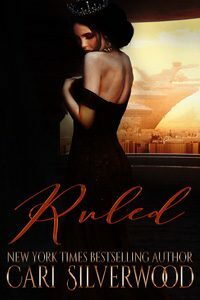 These books are well written and even though they are short, they are very entertaining reads that pull you into the story and leave you wanting more (both more stories and longer books). I loved the contaminated storyline and can’t wait to see what happens to those in the Colony (I happen to be a vet and want to see their stories sooner rather than later). I also loved the Warden’s twist and I can’t wait to see where that heads. I understand that there are more worlds in the Coalition but I like the Prillon Prime warriors and want to see them in more books. Every time I read a book by this author, I swear that the book is the best one yet, but then I read another one, and I think the same thing. Taken by Her Mates is an incredible story, with lots of steamy scenes, and interesting plot twists. Nial is an alien from Prillon who through his work in the army, has been “contaminated” by the enemy technology, making him a powerful cyborg that is looked down upon by his own people. He is matched to a human female in the Interstellar Bride program, and is denied the match by is own father because of his condition. Nial is angered by this, and chooses a second, Ander, and goes to claim his human bride himself. The relationship between the three of them is beautiful to witness, and I thoroughly enjoyed this addition to the series. I have been excitedly waiting for Grace Goodwin’s next book in the Mates series, and am happy to say this is the best book in her series. 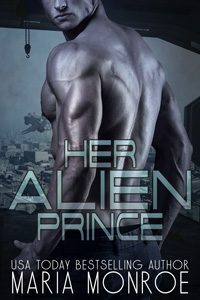 This book is Prince Nial’s story that continue’s the story line from Mated to the Warriors, but can be read as stand-alone book. The honor and respect she gives to veterans while combining it with a strong heroine is amazing. I hope that Grace picks up her next book with the veterans in the colony and can’t wait to see their stories. This was a great read that I couldn’t put down until I devoured it all, sometime around 2am.. I am happy to provide an honest review in return for an advanced reader copy from Stormy Night Publications. This book was entertaining from the start to the finish. Jessica is a warrior who has been framed and is participating in the brides program. Things get interesting when the current Prime blocks the match. When her mates do locate her, she is in danger. A fact neither the prince or his second is happy about learning. I love that they know she is strong and smart and able while being submissive in the bedroom. The more control they show, the more she trusts them. This is a fun, engaging read and a great series. I am happy to provide an honest review in return for an advanced reader copy from Stormy Night Publications. This is a great book in the Interstellar Bride series but reading the whole series is not necessary to understand and enjoy this book. I really like Jessica’s strength and determination. This is not a guys rescue girl story but a touching romance where all three partners work together. I only wish this book had been longer. I have had the pleasure of reading the past books in this series and this one is no different great story. A great mix of action and adventure. Especially liked the view on veterans and their treatment.